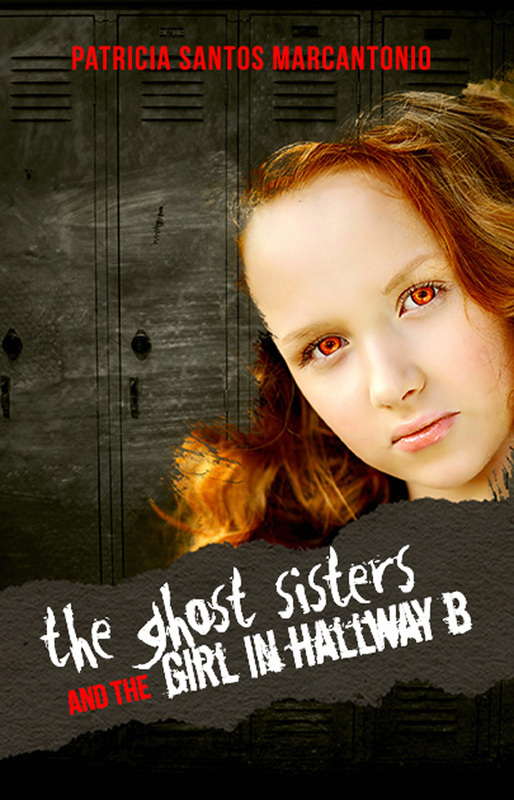 PUEBLO, Colo. — Sunbury Press has released Patricia Santos Marcantonio’s latest young adult paranormal novelThe Ghost Sisters and the Girl in Hallway B. Meet the Ghost Sisters: Kat and Marie Bench. They love anything to do with ghosts and the supernatural. When their divorced mom moves them to her hometown in Colorado, the sisters discover a real ghost haunts their school—that of a young girl who cries, slams lockers, and leaves mysterious messages as floors writhe, walls weep, and a terrible accident is replayed. Armed with resourcefulness and ghost-hunting tricks they picked up from books and TV, the sisters set out to find the identity of the student apparition. Meanwhile, one of their friends is being bullied. Kat and Marie will need bravery and determination to help their friend and solve the mystery of the girl in Hallway B.
Mr. Castanza stomped to the north end of Hallway B, glanced both ways, and down the stairs. Then he walked to the other end. Nothing. He tried a few classroom doors, but remembered he had locked them all earlier in his shift. “This place is showing its age again—moaning and creaking. Ain’t nobody here.” He hoped he was right. He briefly wondered if a cat or squirrel had sneaked inside. With a rumble, his stomach signaled dinner and time for the turkey and provolone sandwich his wife had packed for him. Unplugging the waxer, the janitor felt the temperature drop within seconds. “The air conditioning must be acting up again,” Mr. Castanza muttered. He didn’t mind talking to himself because night cleaning could be a lonely job. “Middle of the summer, and I can see my breath.” When he blew out air, a white cloud formed and crystallized. He shivered. “Sure doesn’t feel like air conditioning.” A chill hugged his bones and surrounded his spirit with gloom. Mr. Castanza glanced up at the ceiling. No air conditioning duct was anywhere around. His nose wrinkled. The frigid air smelled like a giant wad of fruity bubble gum that had been chewed by a hundred different kids, all with bad breath. 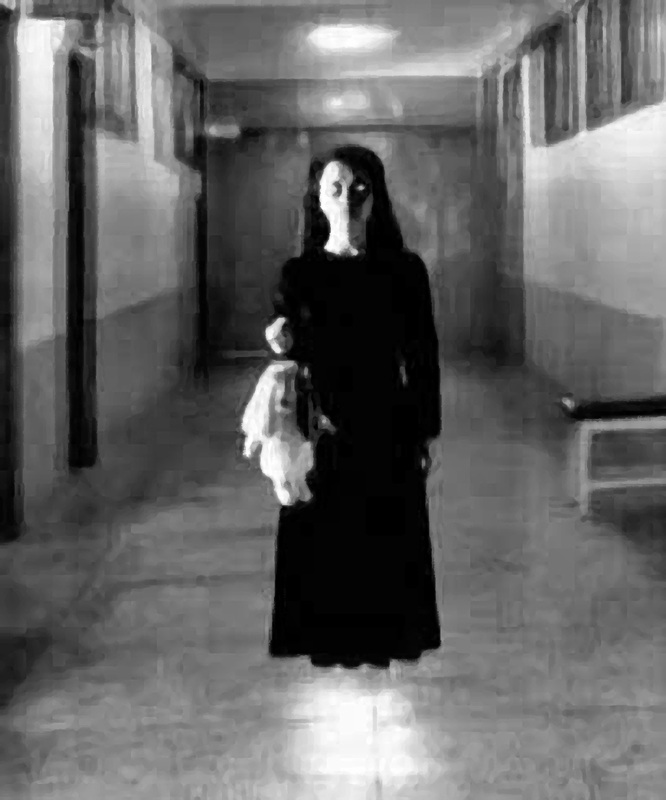 A girl stood in front of Room 214. About the size of a seventh-grader, she had straight shoulder-length red hair with bangs. She wore big wire-framed glasses over a thin face. Dressed in a white blouse, red plaid skirt, and blue sweater, the girl held a blue notebook in one hand. Her other hand covered her eyes. Her body shook with heavy sobs, although she made no sound. The girl didn’t answer and continued her silent crying. This entry was posted in book releases and tagged colorado, ghost story, middle grade, paranormal, patricia marcantonio, pueblo, YA. Bookmark the permalink.